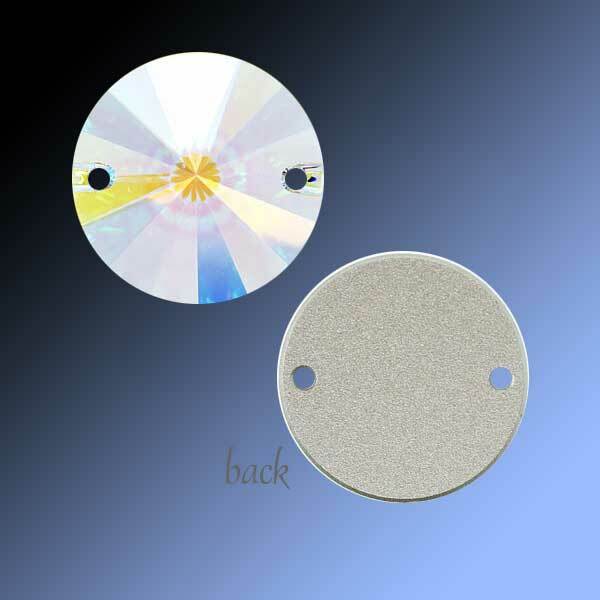 Swarovski Crystal Sew-on Stone 3200 Rivoli is one of the most popular and versatile of the sewon stones. They are even more flexible than the Lochrose or crystal sequin, as it is sometimes called. With the double holes in the 3200 Rivoli, it provides both stability and extended design flexibility. The Swarovski Sew-on 3200 Rivoli comes is a big range of sizes and a huge range of colors to suit just about any design theme and structure. The 3200 Rivoli is round with a faceted front and flat reverse. Most of them come with back foiling (F) to enhance their brilliance. Swarovski offers a range of Sew-on Stones in many different shapes, sizes and colors. Swarovsky Sew-on Stone 3200 Rivoli is available in these sizes. I so happen to have on me some lovely photos of the Swarovsky Sew-on Stone 3200 Rivoli in the latest effect and color, as at Feb 2012. (Photo Credit: CREATE YOUR STYLE). This is sure to whet your appetite so be forewarned!